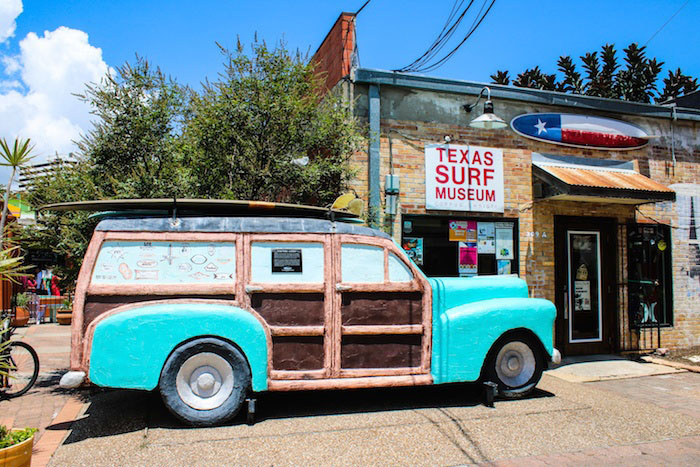 Become enlightened about the culture of surfing along the Lone Star State’s 367-mile coastline at the Texas Surf Museum, the only museum of its kind in the entire state. 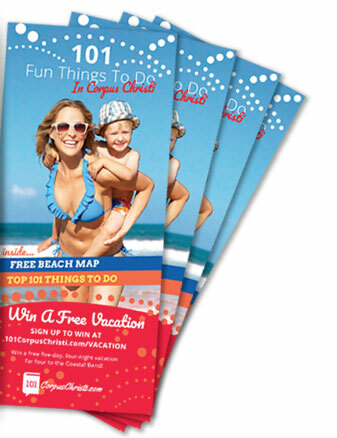 Its location on Water Street in downtown Corpus Christi makes it a must-see stop in the downtown Marina Arts District. A map of the Gulf Coast fills an entire wall, detailing iconic moments in the Texas surf scene. Some stories tell of Texas women making history on Gulf Coast waves or gnarly dudes braving hurricanes and tropical storms to surf epic swells. Others tell of Texas amateur surfers who went on to compete professionally and win competitions around the world. These stories are inspiring in a state that is not commonly known for its surf, and encourages visitors to give it a try in the warm, often mild, Gulf waters. Vintage surfboards are on display down the center of the museum, each with its own story. Take a good look at the boards, placed in chronological order, to see the advancements in production through the years as craftsmen perfected the materials and fine-tuned the structure. Other exhibits throughout the museum feature historical tools, magazine and newspaper clippings, photographs and more. A TV plays surfing clips and interviews with professional surfers. The museum, which recently became a nonprofit organization, has an enriching education program. Retired scientists construct lesson plans and host classes on topics across the surfing spectrum: how waves and currents are formed; the physics of surfing; the effects of marine debris and more. Daytime presentations for classroom field trips as well as nighttime lectures for the community are available. The museum also hosts donation yoga classes and movie nights. Follow the Texas Surf Museum on Facebook to stay up-to-date on upcoming events. The Texas Surf Museum is located at 309A N. Water St. in Corpus Christi. Visit texassurfmuseum.org or call (361) 882-2364 for more information.